American doctor declared Ebola-free released from Emory hospital after treatment. 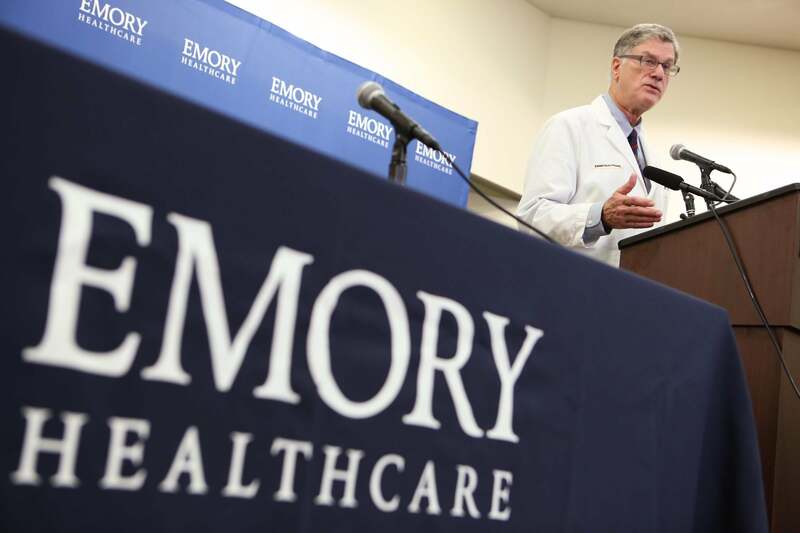 Emory University Hospital releases another American doctor successfully treated for Ebola. An American doctor who had quietly returned to the U.S. after contracting Ebola working in Sierra Leone last month has been released from Emory University Hospital after receiving six weeks of treatment at the facility, the hospital announced Monday. The doctor, who had been working with the World Health Organization in Sierra Leone when he was infected with the virus, has asked for his identity to remain private for the time being, according the NBC News. “In coordination with the CDC and Georgia Department of Public Health, the patient was determined to be free of virus and to pose no public health threat. The patient has asked to remain anonymous and left the hospital for an undisclosed location. He will make a statement at a later date,” Emory University Hospital said in a statement. The doctor is the fourth known individual to have been brought back to the U.S. for care after contracting the virus in West Africa. Dr. Kent Brantley and Nancy Writebol were both successfully treated at Emory after returning home from Liberia. NBC cameraman Ashoka Mukpo, returned to the U.S. earlier this month and is being treated at Nebraska Medical Center. Dallas nurse Amber Joy Vinson who contracted the virus while treating Thomas Eric Duncan is currently being treated at Emory’s Serious Communicable Disease Unit.